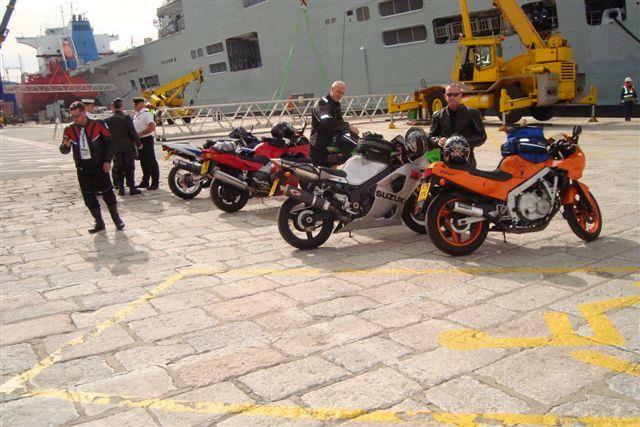 Bikers from HMS Ark Royal endured negative temperatures and a string of mechanical problems to beat their ship to Gibraltar. The team of seven riders and two support crew parted company with Ark Royal in Portsmouth and met up again days later on the Rock. The guys had an eventful journey through France and Spain punctuated by breakdowns and bad weather, but managed to raise more than £3,000 for the Royal British Legion. By the time Robertson had realised this, the rest of the group had disappeared and he was temporarily stranded. 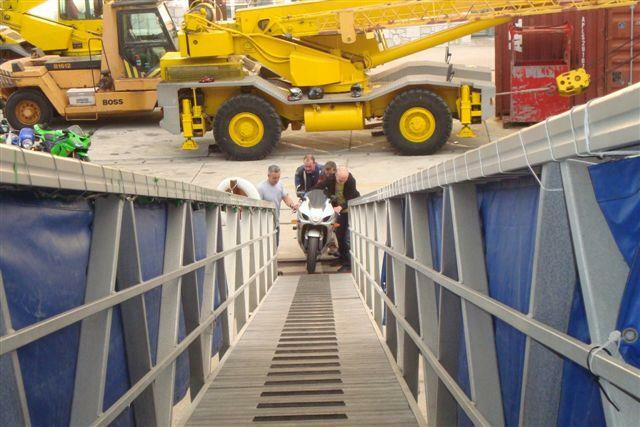 Eventually his mechanical problems were put behind him, only for Leckey to discover his Honda Hornet’s wheel bearings had gone. The journey continued with few hitches, and the fellas were able to make their destination on time and meet Ark Royal for the return journey to the UK.